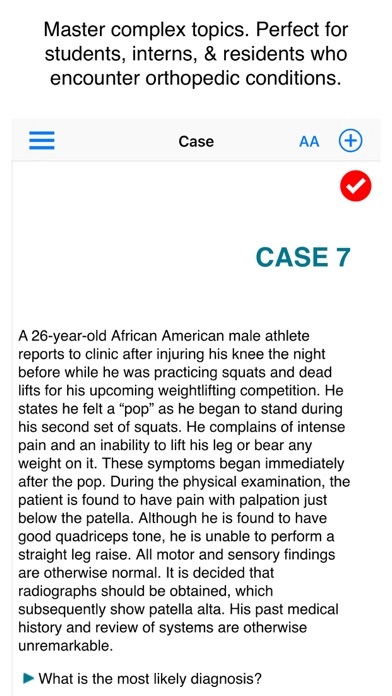 Experience with clinical cases is key to excelling in your rotations and post-graduate training. 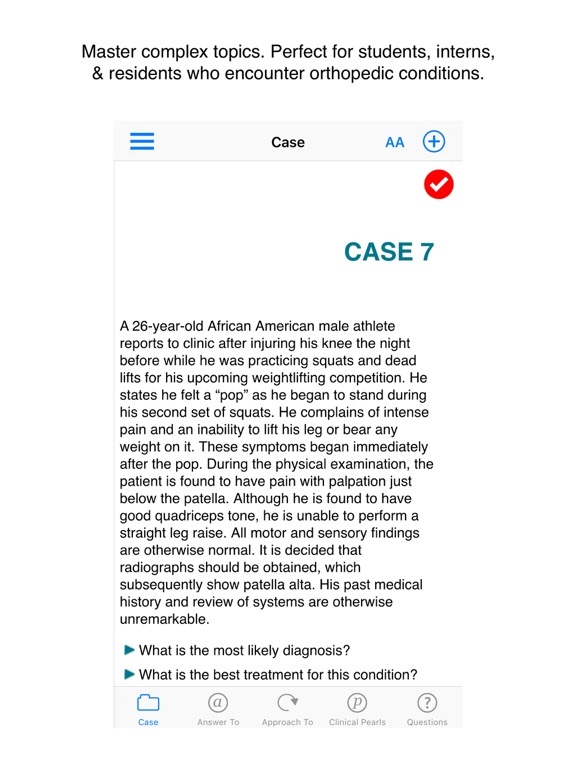 Case Files: Orthopaedic Surgery, 1st Edition, gives you 45 true-to-life cases that illustrate concepts critical to managing common musculoskeletal injuries and conditions. 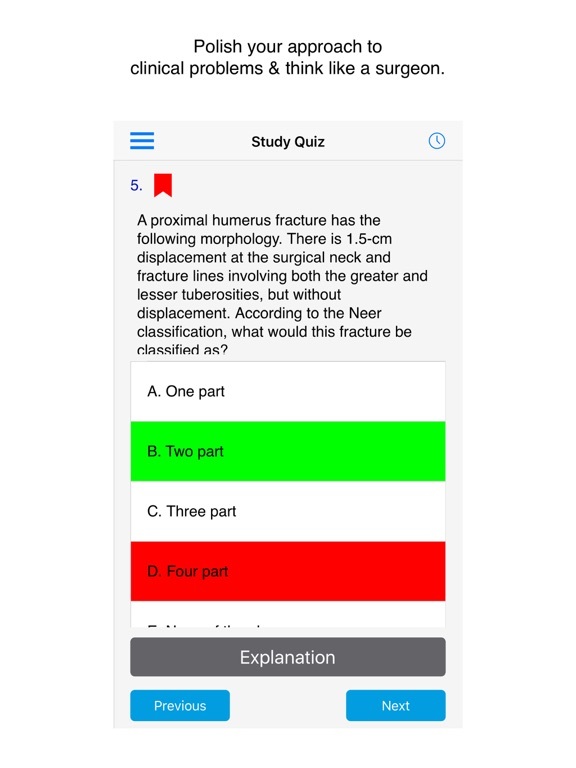 Each case includes a concise and accurate patient presentation, key exam findings, and clear radiologic images where applicable. 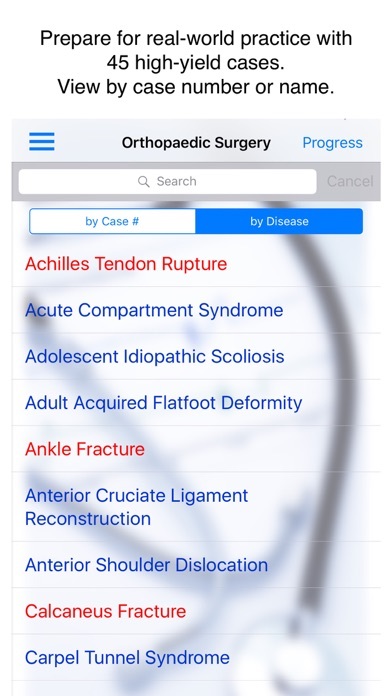 Additionally, cases include in-depth discussions of the injury or condition represented, replete with evidence-based practice recommendations, basic procedural tips and techniques, and discussion of potential complications, pitfalls, and ultimate patient outcomes. 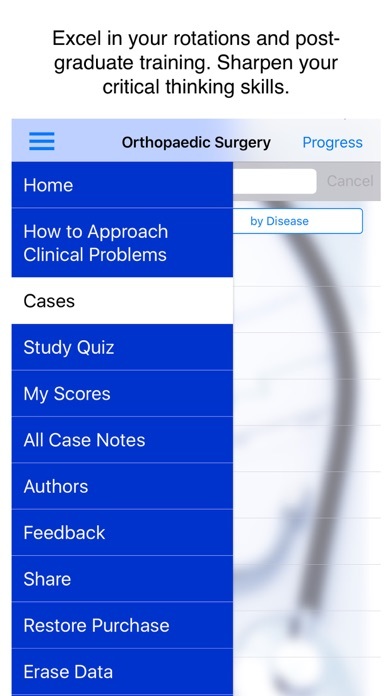 Review questions and clinical pearls reinforce learning. 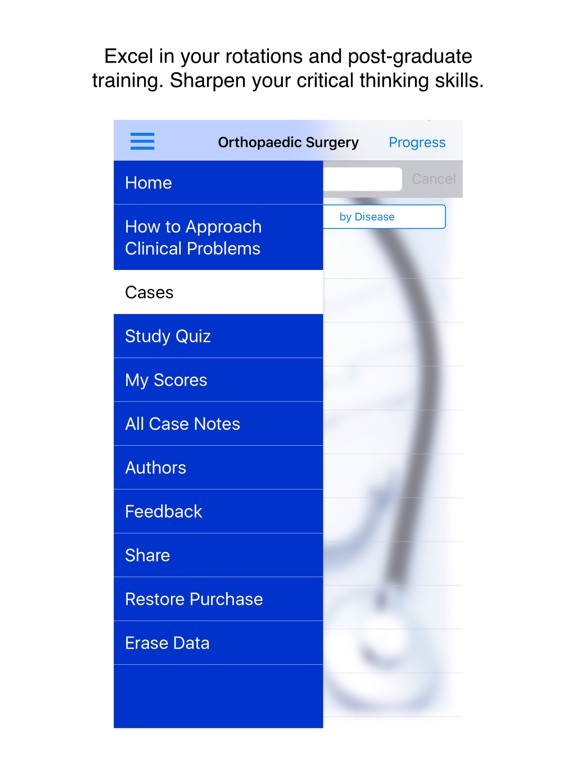 This free application includes 1 sample case study from the 45 that are available through an in-app purchase of $29.99 of Case Files: Orthopaedic Surgery. 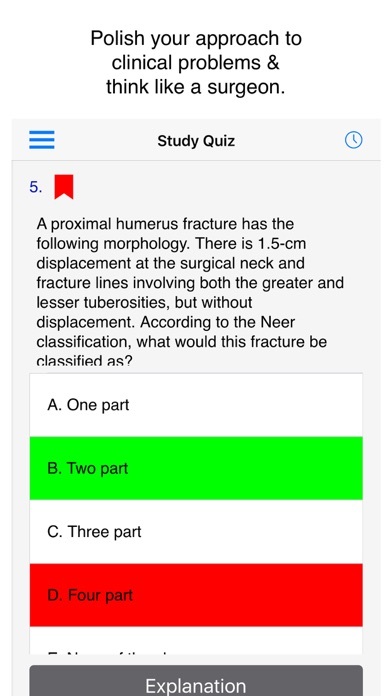 •Study/Exam/Bookmark modes with USMLE-style review questions. 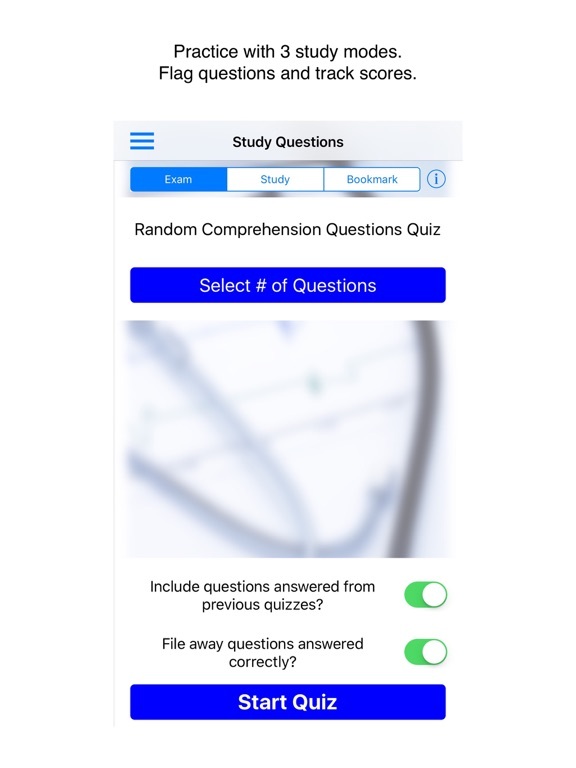 •In the Exam mode, time yourself and review the answers after time is up. Eugene C. Toy, MD is a dual certified family physician and ob/gyn. He is the John S. Dunn Senior Academic Chair and Program Director of the Obstetrics and Gynecology Residency Program; Vice Chair of Academic Affairs in the Department of Obstetrics and Gynecology at The Methodist Hospital--Houston; Clerkship Director and Assistant Clinical Professor in the Department of Obstetrics and Gynecology at The University of Texas--Houston Medical School (Houston, Texas). 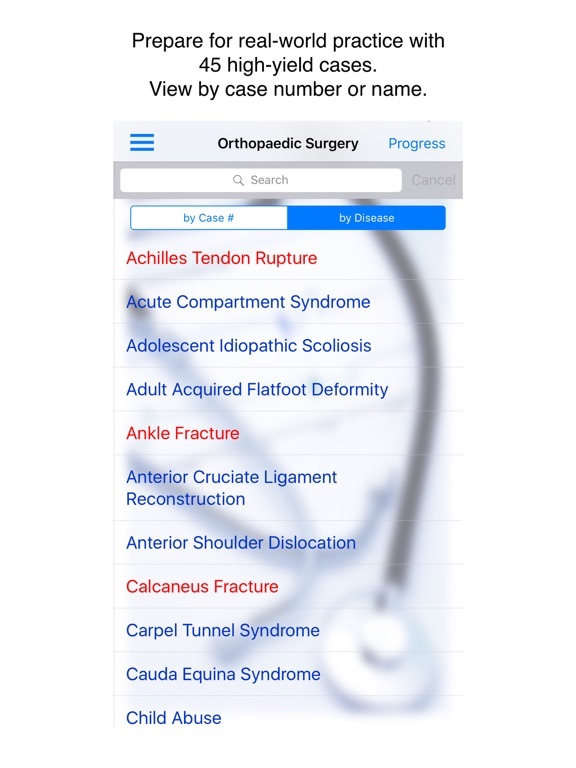 Andrew J. Rosenbaum, MD is a resident of orthopaedic surgery at the Albany Medical Center, Albany, New York. 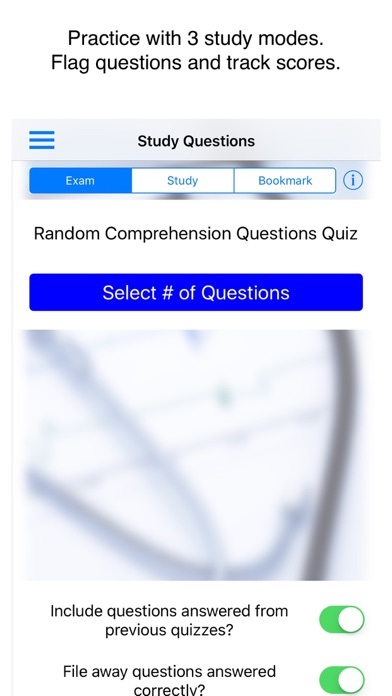 -We've made it easier to delete highlighted text. Now, you can either delete single highlights or all highlights in a section can be deleted at once.